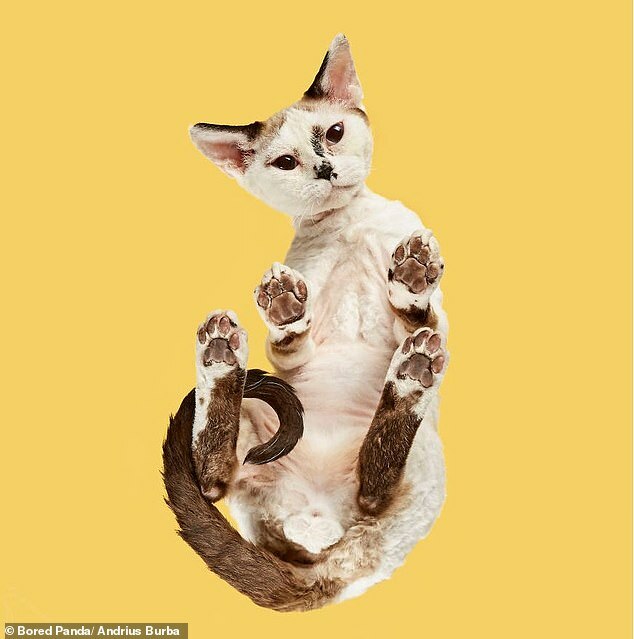 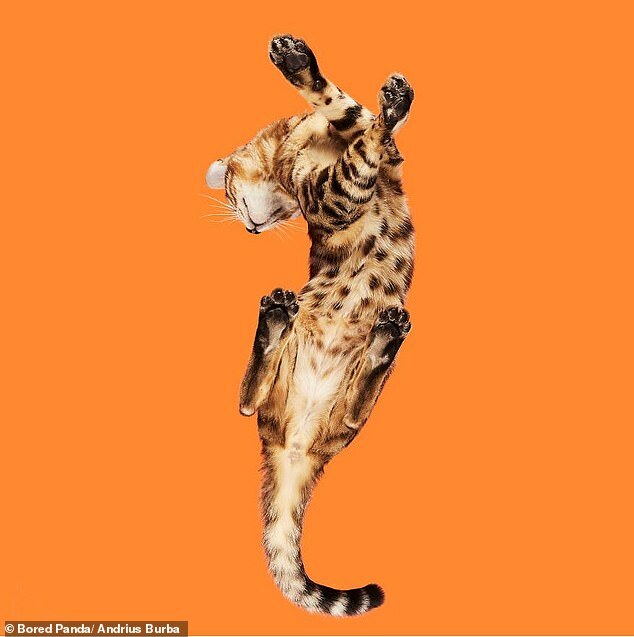 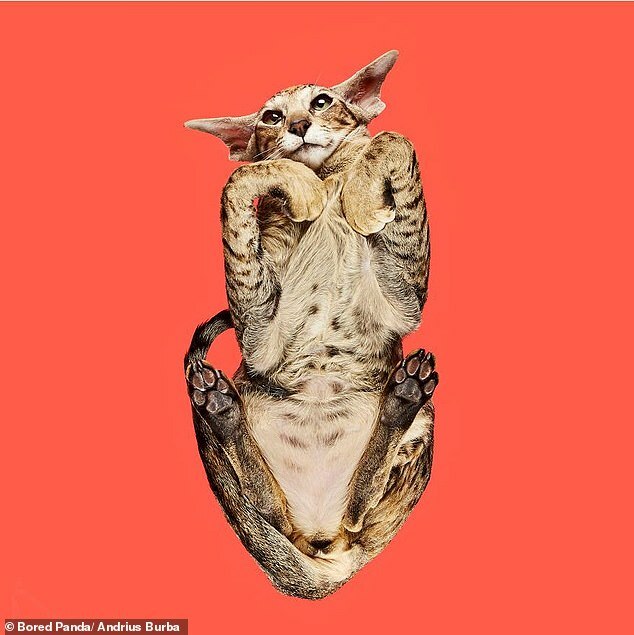 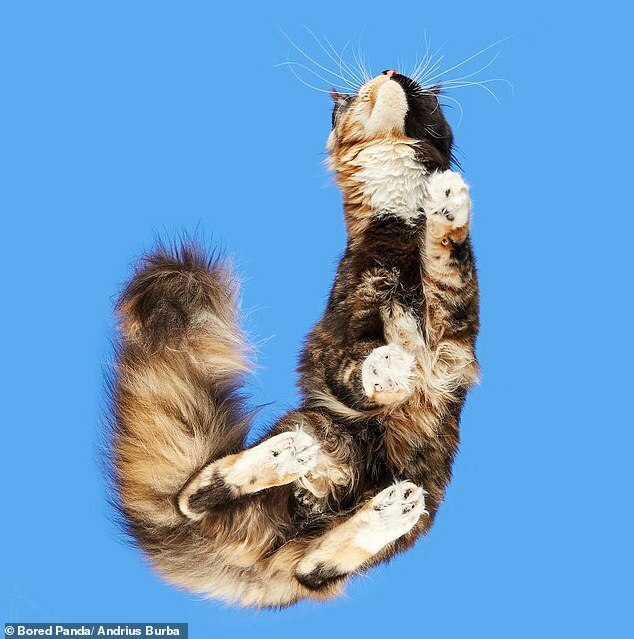 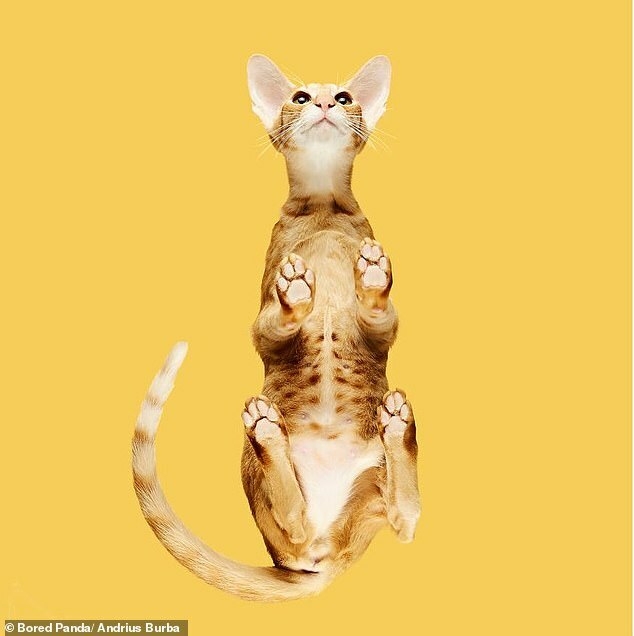 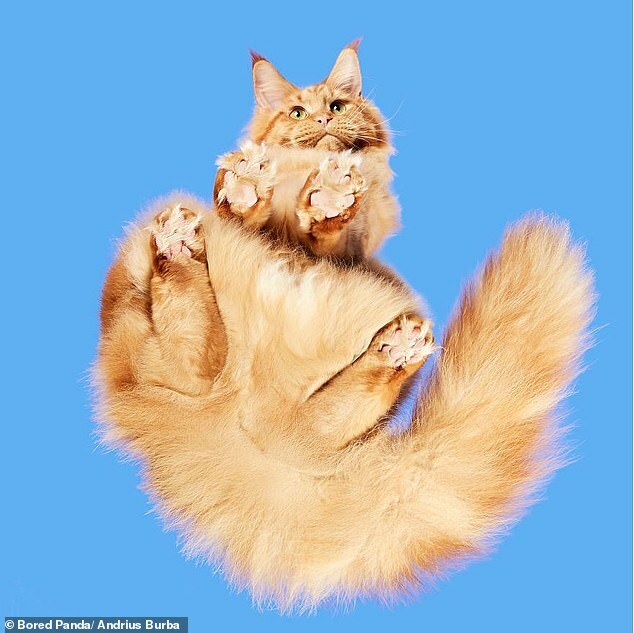 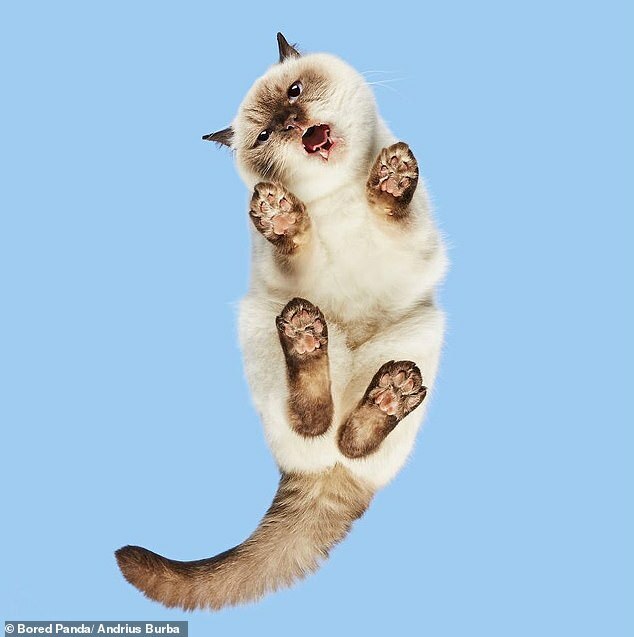 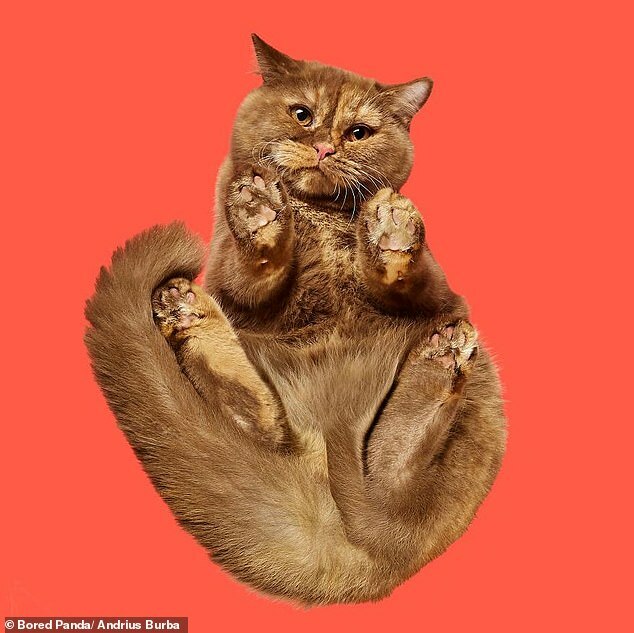 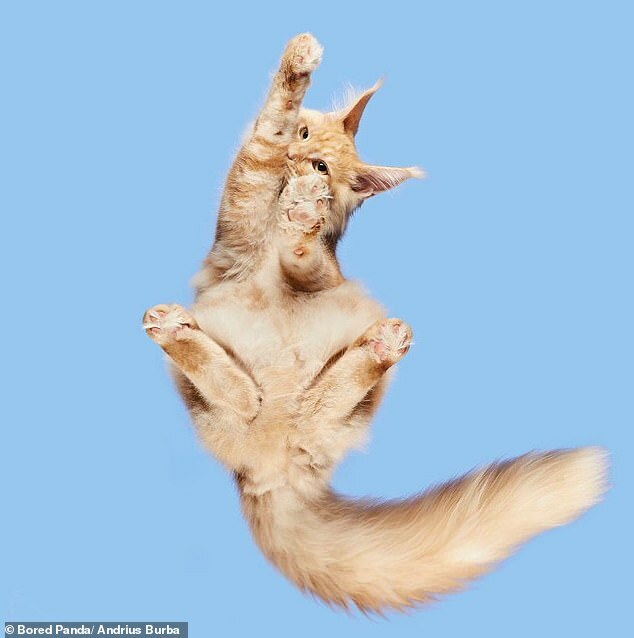 A photographer best known for capturing animals in bizarre poses has released a new collection of cat photos. 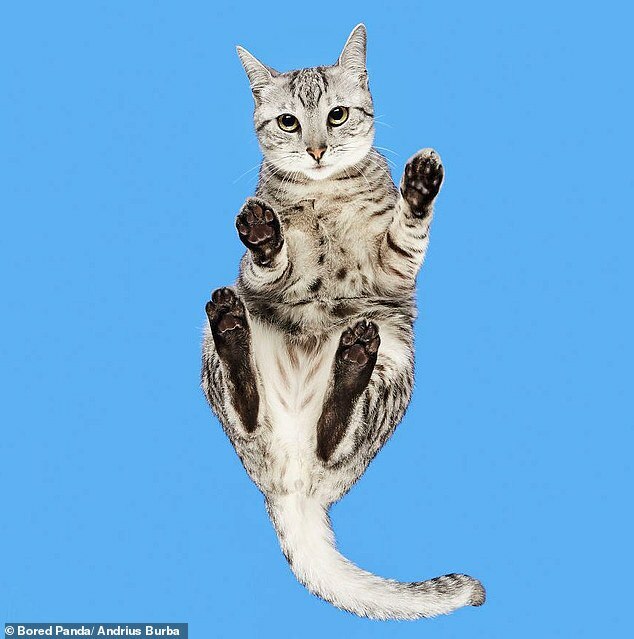 Andrius Burba, 26, from Lithuania, photographed a group of felines from below at a cat show in Kaunas for a comical project entitled ‘Under-Cats’. 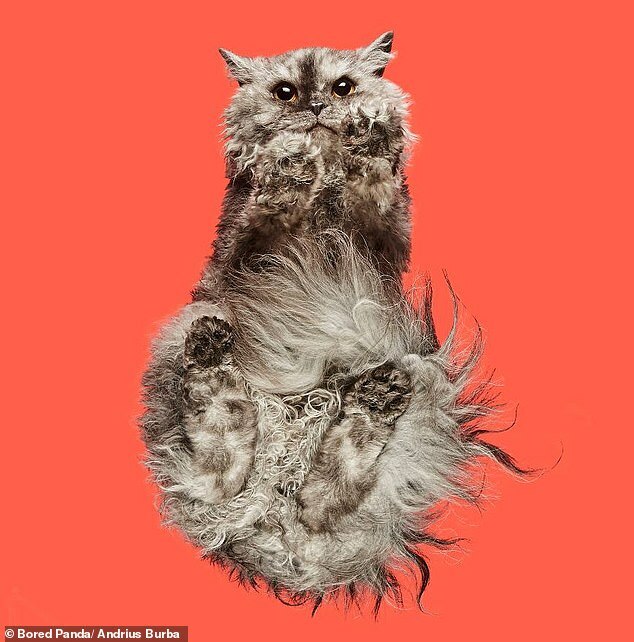 The creative collection of images was achieved by positioning the animals on a glass table against a colourful backdrop. 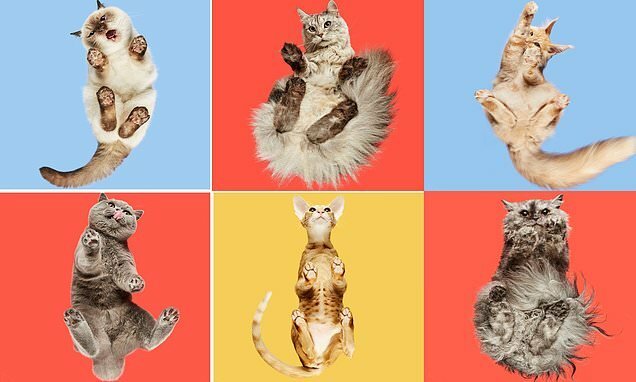 Capturing the various personalities of different breeds, the images show the cats smiling, yawning and even trying to lick the camera lens. 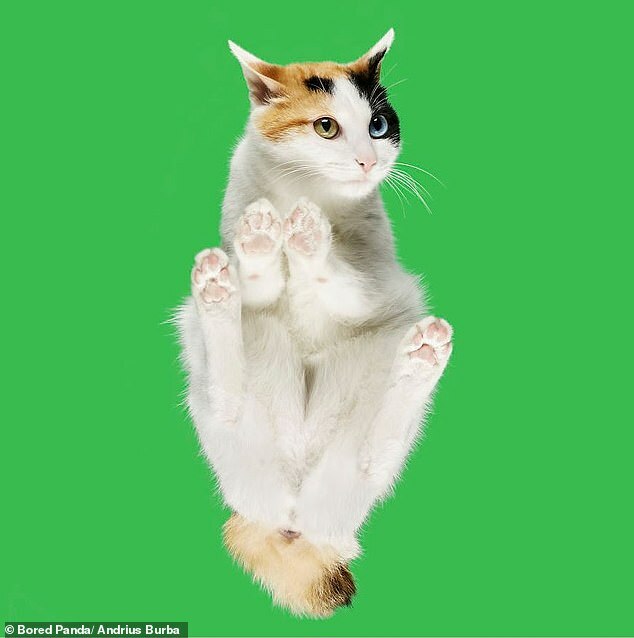 Andrius, whose previous projects have included working with horses and dogs, spent hours choosing the perfect poses for the cats as they stood on 6mm-thick glass. 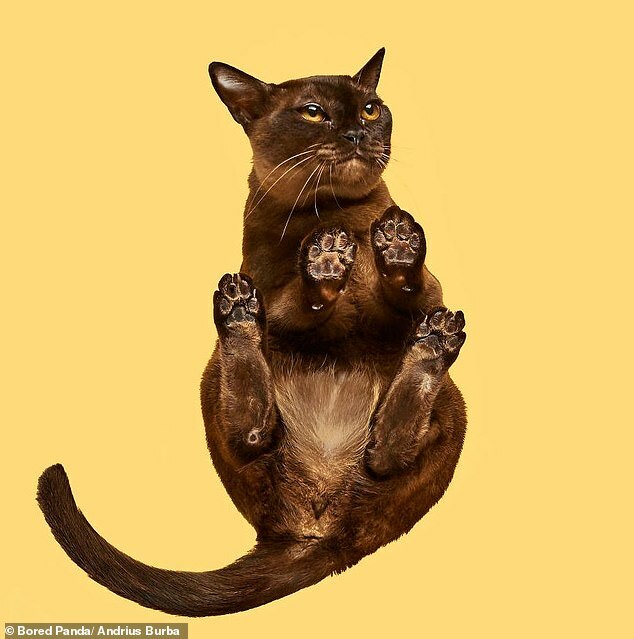 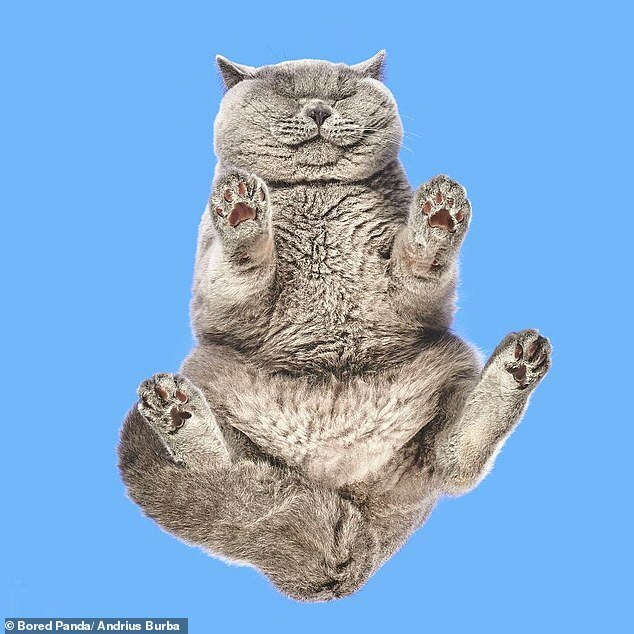 The photographer, whose work was inspired by a ‘ridiculous’ cat photo on the internet, said:’ This method of photographing animals always surprises with funny and cute results, which cannot be made any way other than taking the photos from underneath. 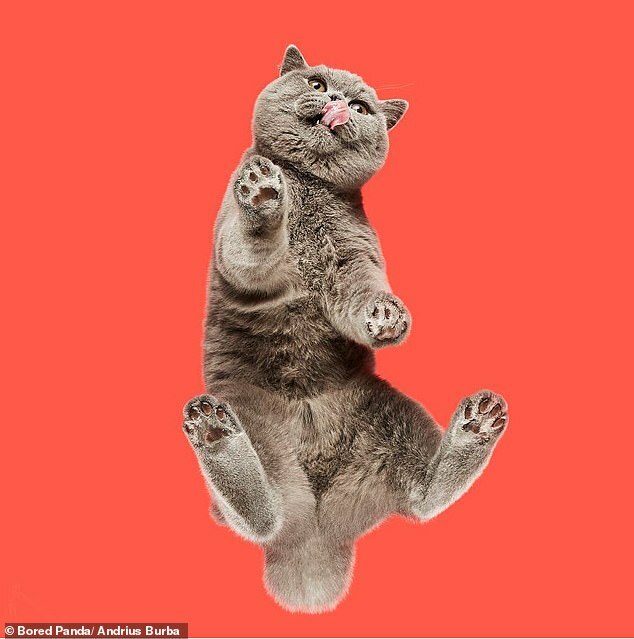 The photographer, who has gained over 14,000 followers on Instagram from sharing his work, chose from a total of 3,840 photographs before releasing his project. 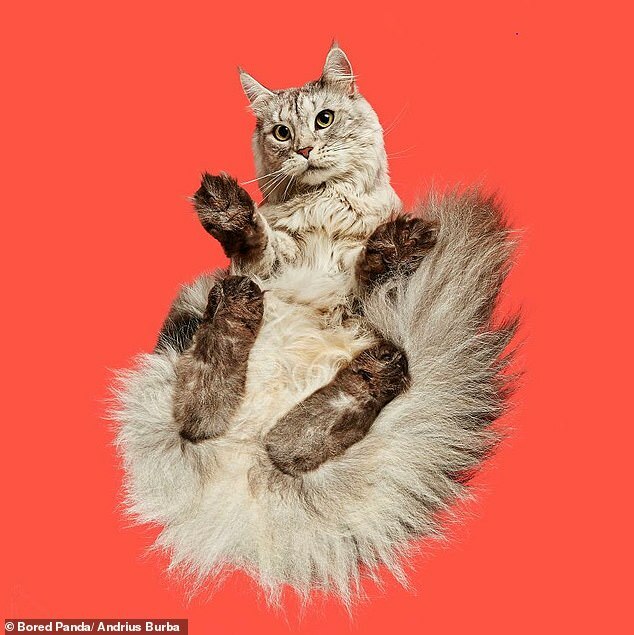 He continued: ‘Some cats are easy to play around with and get interesting poses from, and others don’t care about my photography and it is difficult to make them focus on a toy or treat.